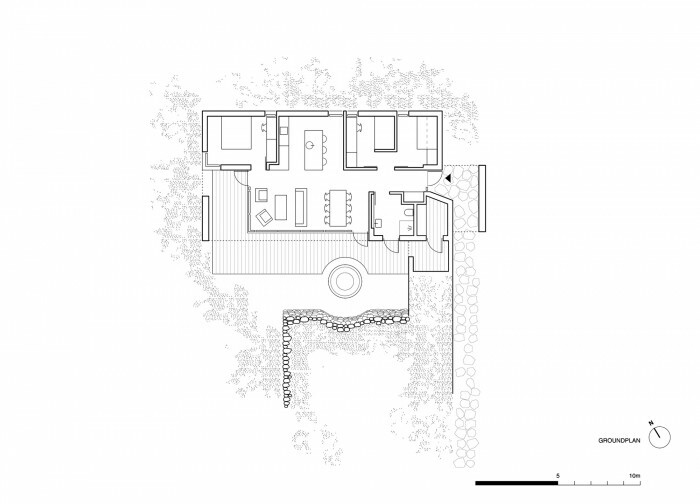 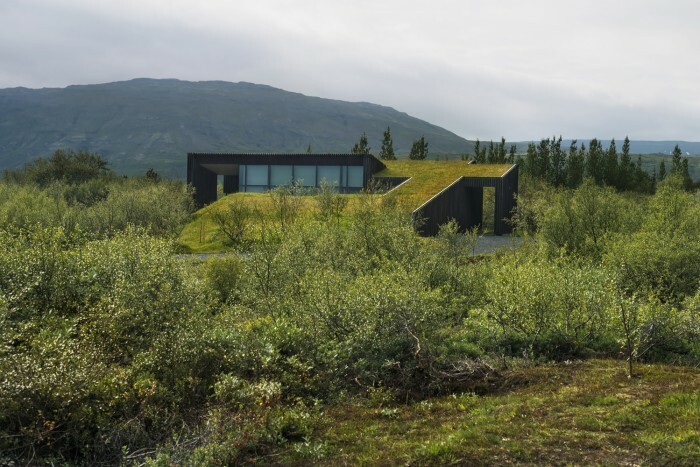 PK Arkitektar recently published stunning pictures of their concept for 20 vacation rental cottages located in Brekkuskógur, in the South West of Iceland. 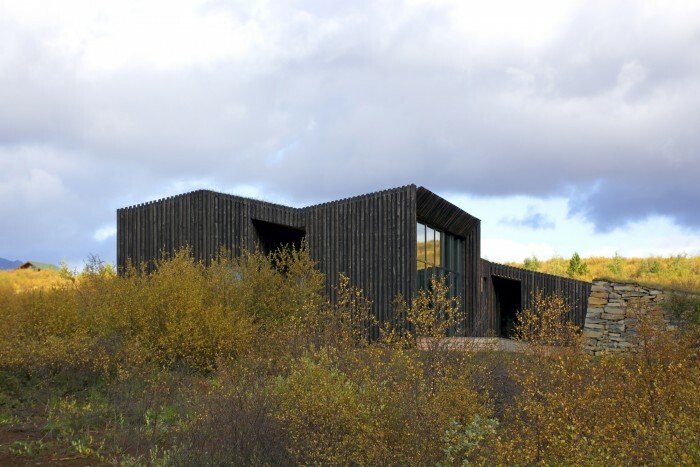 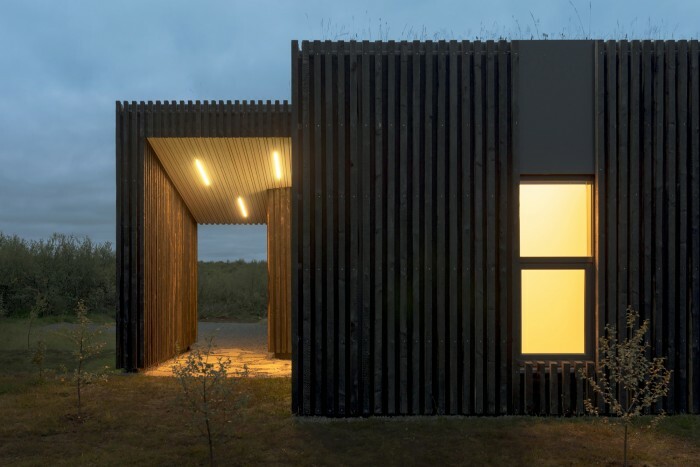 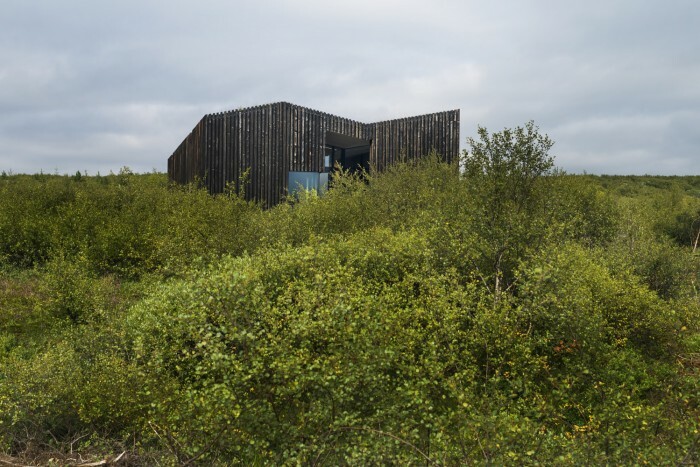 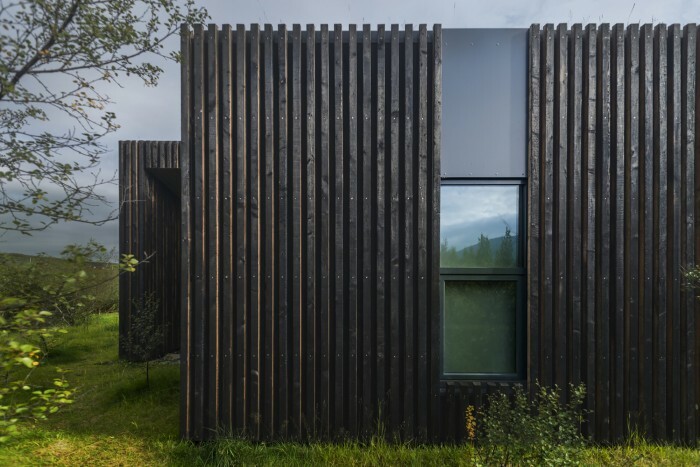 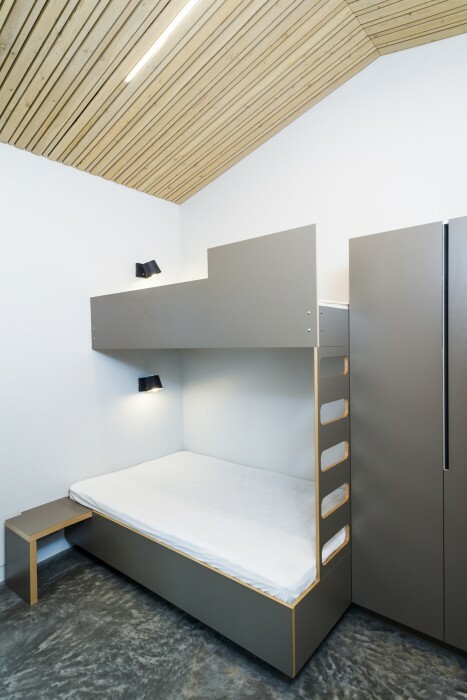 The Reykjavík-based studio won the competition in 2012 and they have already completed 2 cabins so far. 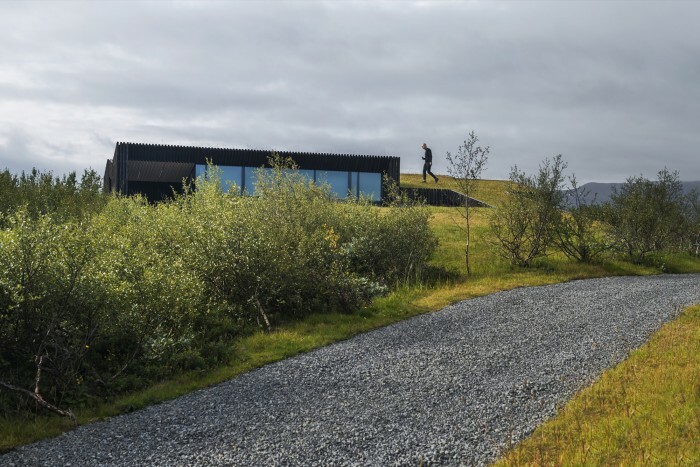 The architectural concept developed by the well-established firm is clear and efficient: “The main focus of the design is to create a semi-rural architecture that blends in with the landscape and the surrounding mountains,” said PK Arkitektar. 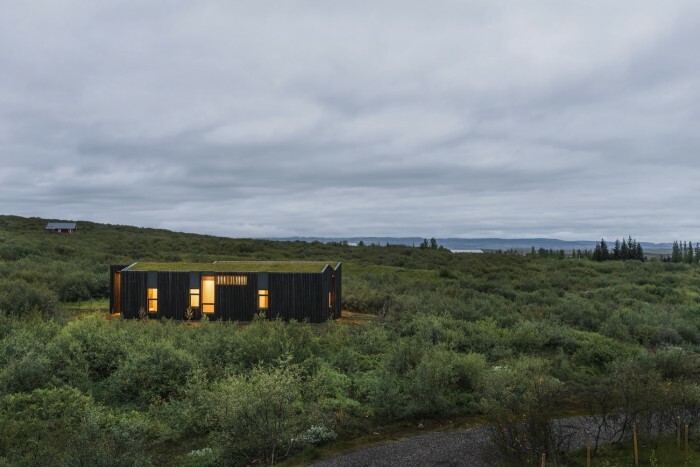 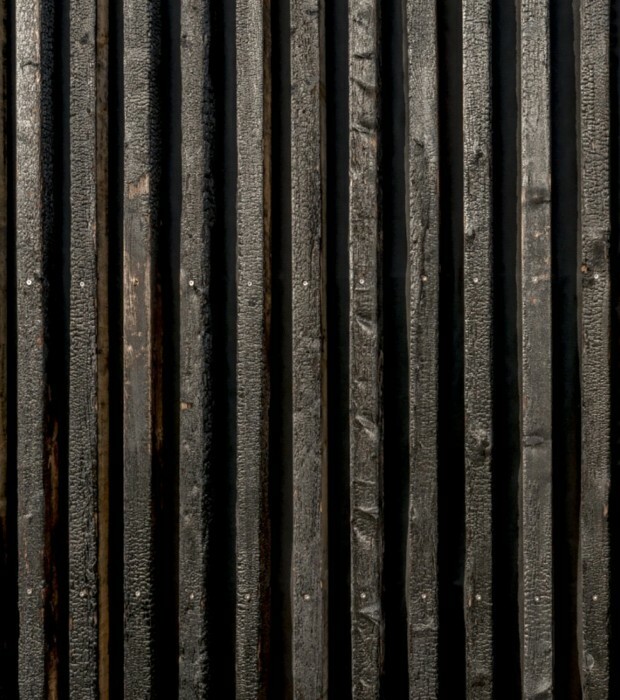 To do so, the two timber buildings are covered with strips of charred wood, a well-known method that enhance the durability of the wood and give the cabins an elegant and rustic look. 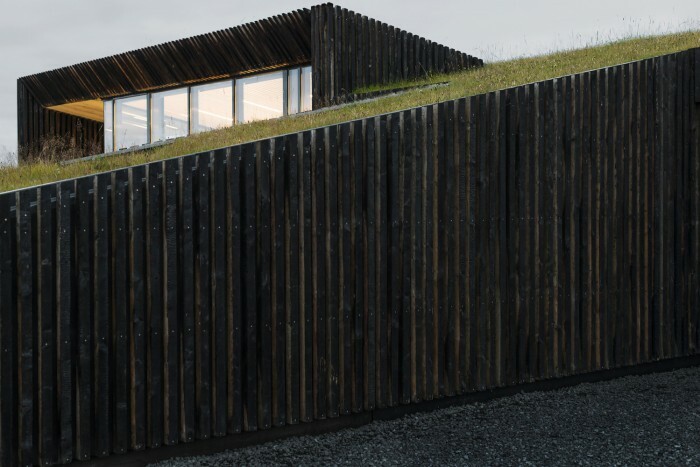 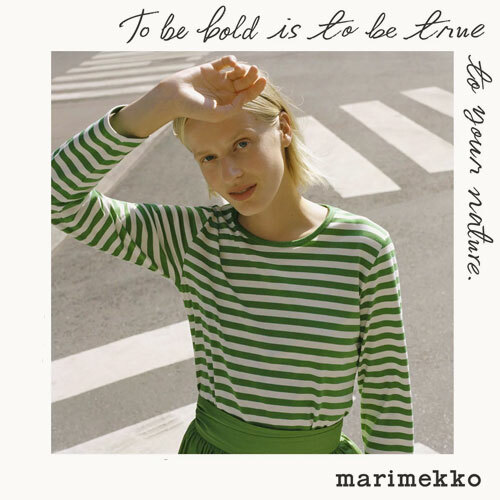 They installed layers of grass from the building site on the roofs, which is another traditional method used by the architect and inspired by vernacular nordic architecture. 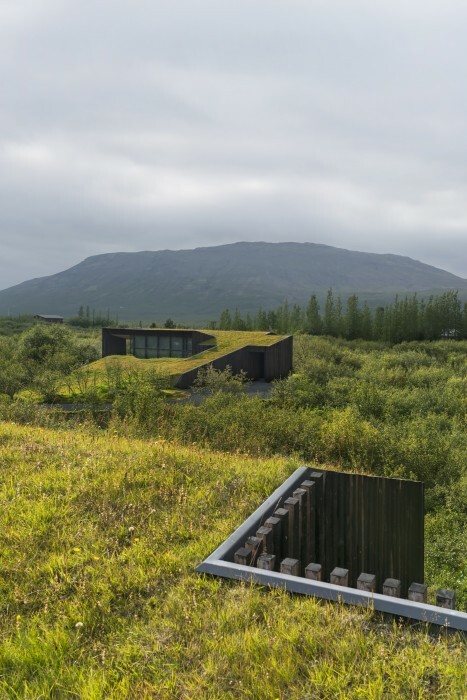 Earth excavated during the construction of the concrete foundations is built into wind-breaking mounds around the terraces, also a reference to the local turf houses. 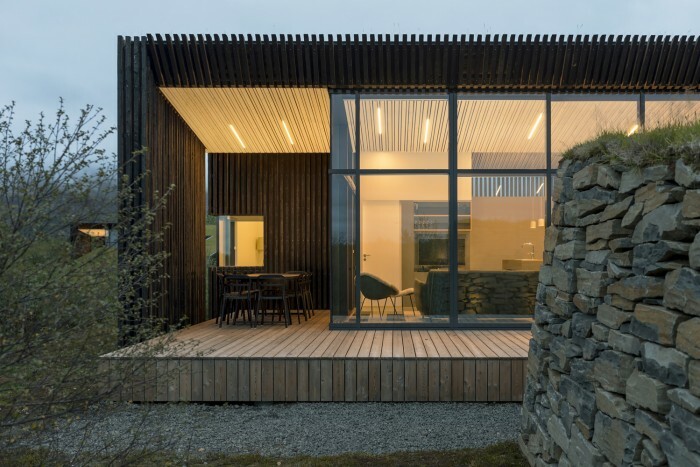 These features are designed to give the house longevity while large windows and terraces aim to take advantage of the scenery. 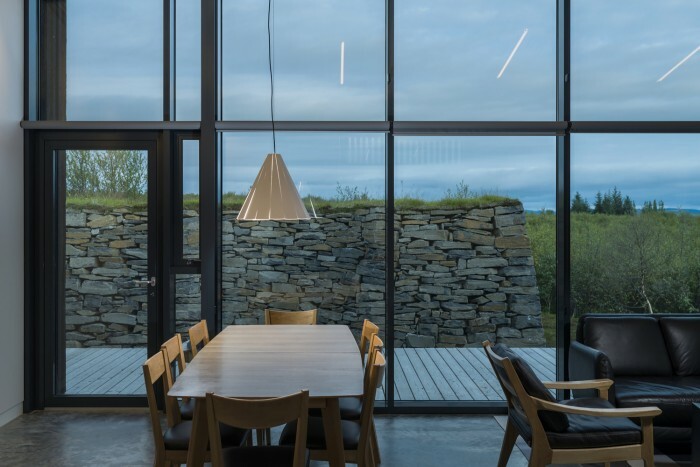 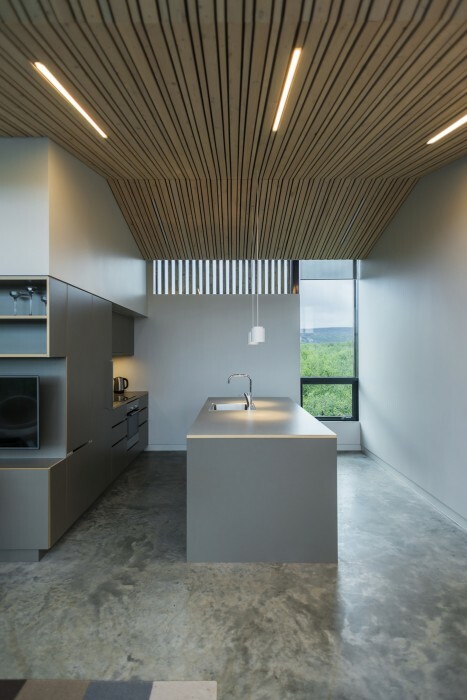 The interior spaces are covered with neutral-toned textiles and furniture, polished concrete on the floor, white walls and a ceiling cladded in wood panels, with the same intervals as on the exterior; details that make the perfect backdrop to enjoy the view on the Laugarvatn Lake. 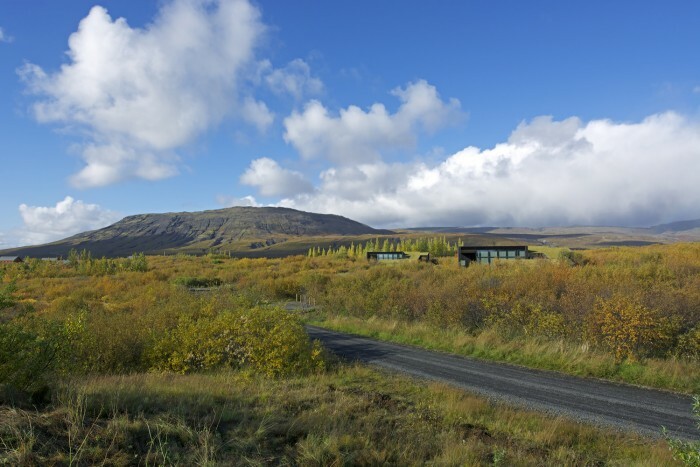 Are these cottages open for renting to the public?